I’ve previously delivered praise toward the Szechuan restaurants in the city, Shanghai Shanghai and Temple of Heaven. 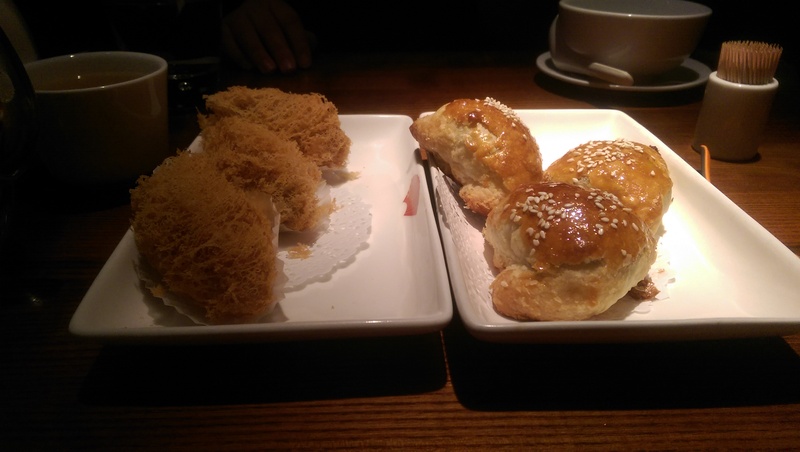 These establishments bring the fiery cuisine that contrasts with the Cantonese fare of the majority of spots for ‘Chinese’ food in the UK. With the excitement of something new, and enjoyment of those venues, it is easy to forget that there’s certainly nothing wrong with Cantonese. I was keen to eat Man’s to revisit that style of cooking. The large dining room was packed at 13.30 on a Sunday; we had to wait 10 minutes or so to get a table, which tends to be a good sign. You can’t tell from their (terrible) website but their lunchtime menu has a focus on dim sum, and we selected a number of options to share as well as 1 bigger fish. As the first plates arrived we quickly knew we’d ordered plenty, the portion size was definitely generous. Yam Puffs (or Wu Kok) weren’t my cup of tea… but I was reliably informed by my dining companion, who knows a thing or two about this cuisine, that they were “pretty good”. 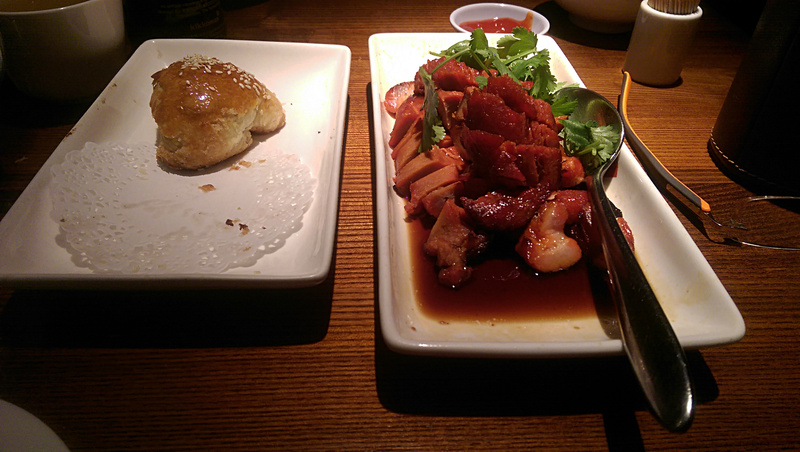 My favourite items for the afternoon were the pork buns, or cha siu bao. You can get them baked or steamed and these versions were the former, golden and with sticky sweet pork in the middle, I could have had a bowlful and forgone the rest of the meal. Cheong Fang are steamed noodles rolled around various fillings, in this case prawn. The translucent wrappings were just a little thick which made for something a little stodgy to get through, but the sweet soy dressing brought a nice contrast. Fried squid was hard to fault, and once again plentiful, though there wasn’t too much excitement from this staple. Our final dim sum dish remains a mystery in name to me, I can tell you it was another prawn number. On this occasion the shellfish were wrapped in a crispy filo-type pastry, the flaky stuff was a nice contrast to the plump prawn. BBQ pork was the marquee dish of the meal in terms of cost, though actually didn’t live up to the quality of smaller plates. The flavour was ok, but the meat could have been sweeter and the quality was unremarkable, a few tough bits were chewed through. A meal that was little inconsistent then, a particular high (mmm pork buns), several very capable dishes and at least one disappointment. I was quite pleasantly surprised when the bill arrived; often little dishes can add up to a surprising amount but the total here was little over £10 each. The dim sum were only £3/4 each which was really good value in my book. ← Buzzfeed articles (links included) have been keeping me busy!